Dense fog enveloped several parts of the national capital, leading to disruption in flight operations at the Indira Gandhi International Airport for two hours. According to a source, departures were put on hold from 7.30 am to 9.30 am due to low visibility conditions. "Departures were put on hold from 7.30 am to around 9.30 am because of low visibility due to fog. In this two hour period, arrivals were operating as usual. The departures resumed at around 9.30 am when the visibility became better," a source said. The minimum visibility required for take off is 125 metres. 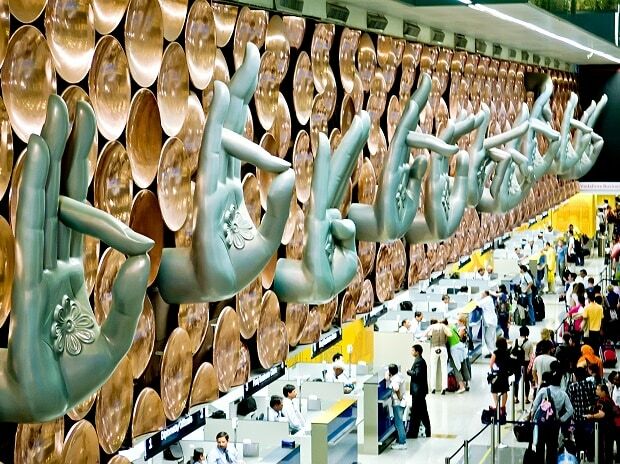 "Total eight flights were diverted from Delhi airport between 7.30 am and 9.30 am. Most of these diversions happened due to pilot non-compliance," the source said. The Palam observatory recorded visibility at 50 metres at 8.30 am while at the Safdarjung observatory, it was recorded at 350 metres. According to the MeT Department, the minimum temperature settled at 6.7 degrees Celsius, a notch below the season's average. The humidity level was recorded at 100 per cent.